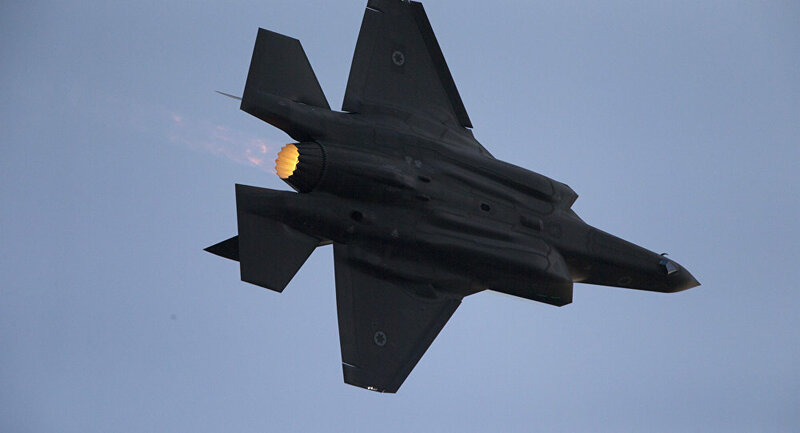 The commander of the Israeli Air Force has declared that Israel became the first country in the world to carry out an attack using the US-manufactured F-35 stealth fighter. "We are flying the F-35 all over the Middle East and have already attacked twice on two different fronts," Maj. Gen. Amikam Norkin, chief of the Israel's Air Force, was quoted as saying by Israeli media. Norkin made this statement during his appearance at the the IAF Senior Air Force Conference in Herzilya, and while showing a picture of one Israeli F-35 flying over the Lebanese capital of Beirut. He also claimed that over 100 surface-to-air missiles were fired at Israeli warplanes that were attacking targets in Syria on May 10, adding that all aircraft returned to base safely. About two weeks ago the Israeli Air Force hit dozens of what it described as Iranian targets in Syria after 20 rockets had been fired at the IDF positions in Golan Heights, which had been occupied by Israel during the 1967 Six-Day War with Syria and annexed the territory in 1981 — a move that has not been recognized by the international community. — Behind The News (@Behind__News) 22 мая 2018 г.
Damascus stated that Syria would counter all the attacks by the Israeli forces on its sovereign territory and will not hesitate to strike Israeli military targets as it has a right for self-defense. When commenting on the latest Israeli attack in Syria, the Iranian Foreign Ministry slammed the move as "an act of aggression" and a breach of the Arab country's sovereignty. Relations between Israel and Iran remain strained, with Israeli officials repeatedly saying that the Jewish state would not allow Iran to turn Syria into its military foothold; Tehran refutes these claims while admitting that it only sends military advisors to Syria in order to help Damascus fight terrorism.